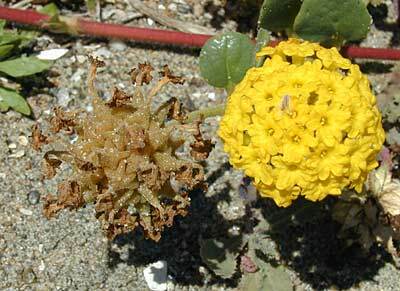 Yellow sand verbena grows in loose beach sand, within a couple of hundred feet of the ocean, along the west coast of North America, between southern California and Vancouver Island in British Columbia. 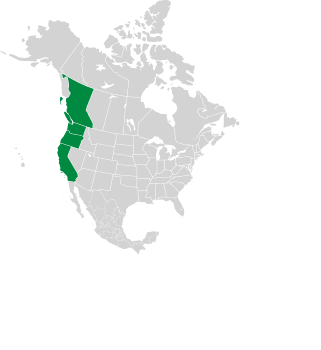 It is native to this region. The neat round “flowers” are really bracts (modified leaves)—the plant does not have petals. These plants are less than 6" (15 cm) in height. Edibility: The roots of this plant are said to be edible. Identification: These verbenas are less than 6" (15 cm) high, forming mats up to 6' (1.8 m) in size. The small ball-shaped flowerheads are typical of verbenas. They bloom from May to August. 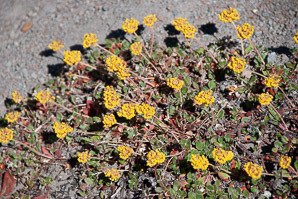 There are several sand verbenas, but most are purple, and yellow sand verbena occupies only the narrow strip along the west coast ocean front. Fruit and flowerhead, from nps.gov. 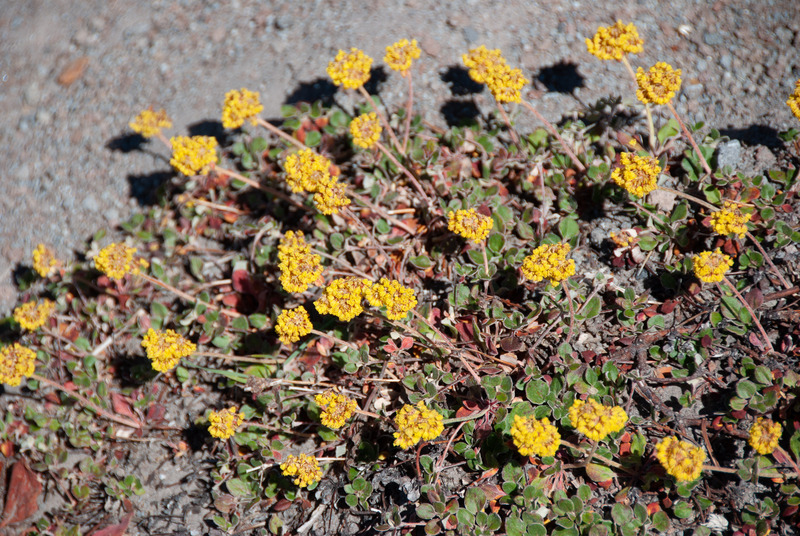 Abronia latifolia description by Thomas H. Kent, last updated 2 Jan 2019.